Alright, I admit it; when my older daughter went through her pink phase, which lasted for years I could not wait for it to end. But there is something about pink tourmaline which is simply irresistable, and I’ve just listed a whole new bunch of free-size cabochons and mixed cuts. These here are the mixed cuts; small to medium in size and a really gorgeous selection from pale petal pink through bubble-gum and and apricot to deep, vibrant fuchsia. Some of these absolutely glow. Not just pink either; I have a couple of really gorgeous yellows; a warm sunshine and sharp citrus as well as a couple of bluish-greens. I do adore tourmaline; it is my favourite stone, and one of the things I love is the colour range, so many different shades. Legend has it that this is because it travelled along a rainbow and picked up all of the different colours. It’s also supposed to inspire creativity. Whether or not you believe that, I can see any one of these pieces holding their own in a piece of jewellery and let me tell you, these stones appear pretty clean. One of the things I love about tourmaline is the pleochroism, and you can see that face-up in these two pears below: the apricot and the pink alternating as you turn the stones in the light. 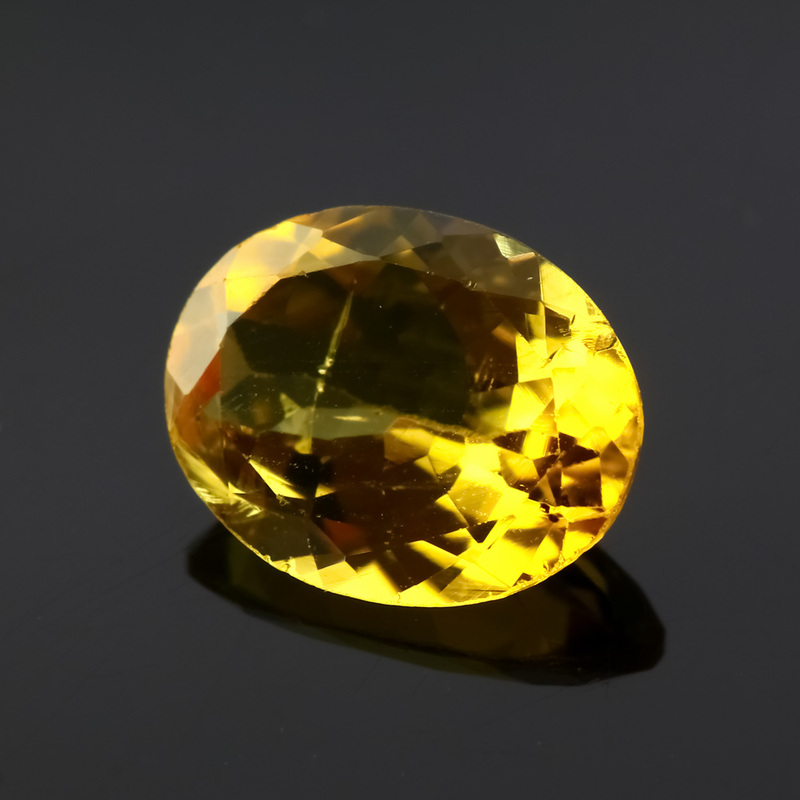 Tourmaline is often rather included; growth tubes, liquid inclusions are common and frequently eye-visible. Generally the dominant value-factor is the colour, and with darker stones, this will mask the inclusions. I aim for accuracy and detail in my pictures, which show up every single speck – due to the macro lens and the fact that they are blown up several times past their actual size. This is good because it means that you can see exactly what you are getting but on the other hand be aware that a lot of these tiny inclusions are not easily obvious to the naked eye and do not impact lustre. Above are the pinks, but below, I also have these gorgeous yellows and greens, below. To shop all tourmaline mixed cuts, click here. From left, clockwise, I love the heavy and sinuous lines of Cassandra Goads ‘Deux Poires’ Pink tourmaline and gold ring. The gold perfectly draws out the warm pink tones and I love the weight of it. To the right above is Luxury by Design’s green tourmaline, silver and gold ring. This is a classic long and thin tourmaline crystal and love that the band is as wide as the crystal is long – a full 12mm meaning that this is one chunky ring! And finally, I’ve written about Stone Fever Jewelry before, as I love the tactile texturing of the metal. If I had one of his rings, I’d be touching it all day long. Below right is another warm gold and tourmaline ring; this time an orange-pink trillion set in a textured band. And then they brought out the trays of bling, and I was ‘Uh…oh… I want that one’!!! And it was more than $1000. More than £1000 come to that. That was before I was in this line of work, and now I’d do it differently. Now I’d work from the stone out – that is, pick a stone that I loved and then have the ring designed around that. imagine that sitting proudly on your finger! Or for something more classic, the green square mixed cut (above right) would be beautiful surrounded by some baguette-cut diamonds. 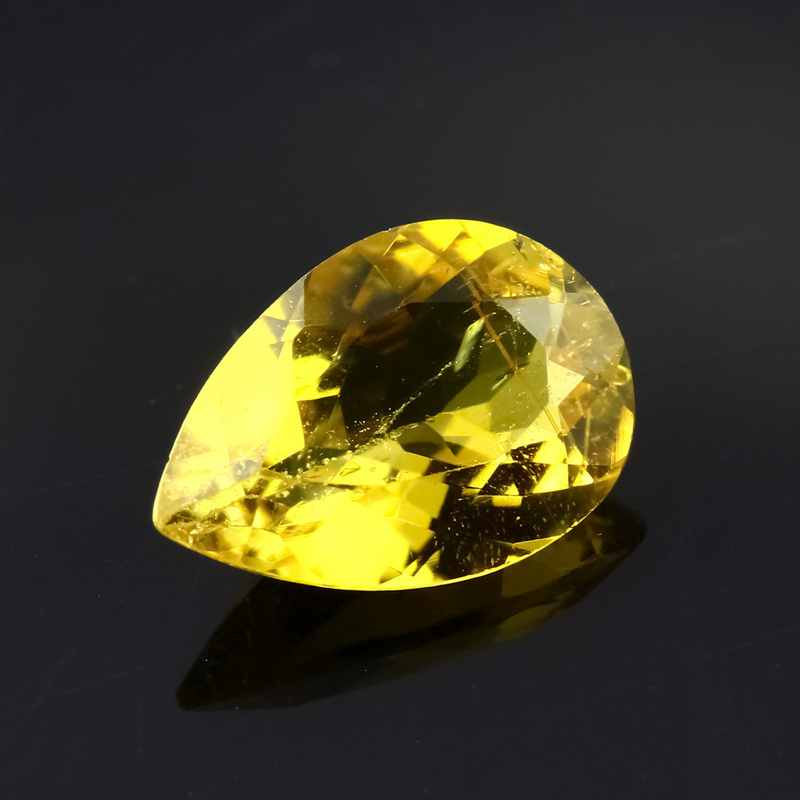 What I love most about tourmaline is its extraordinary colour range, and more unusual is the gorgeous sunshine-yellow oval, left. Again, it’s a good size at around 11mm long. Also lovely is the luminous pink pear, right, also a great size at around 10mm, and an even more fantastic price. But what about a ring for $1000 and under? Impossible?! Not at all; there is plenty on offer; so many I had trouble picking just a few. Here are some of my favourites; clockwise from top left: rhodolite garnet is a beautiful and under-rated stone, in my opinion. This garnet, palladium and rose gold ring by Nodeform Weddings is beautiful in its simplicity and the rhodolite and rose gold compliment each other perfectly and comes in well under budget at $785. Those who know me know that there is a special place in my heart for textured metal; Stone Fever Jewelry’s Moonscape ring features a green tourmaline on a hand-punched, cratered 14 carat rose gold band and sneaks under the bar at $999. They will can also make matching wedding bands.and this style can also be made in yellow gold. Doron Merav’s Leaves engagement ring of white gold set with diamonds showcases an unashamedly feminine yet contemporary aesthetic, and at only $370 represents fantastic value for money. I don’t think I’ve seen anything so pretty that I’ve like so much in a long time. Last but not least is Nangijala Jewelry’s rough teal, sapphire and rose gold ring; sleek, contemporary and original. This is priced at a very reasonable $825. As for me – the ring we ended up buying, the one I absolutely had to have? I remember saying to the rather austere assistant (with the brutal dark red lipstick) ‘My only concern is that it’s quite like Princess Di’s.’ Without missing a beat she replied, ‘Princess Di’s was much bigger.’ Well, I could have walked out there and then. But then, I absolutely had to have that ring. All tourmaline stones featured above are from my ‘Limited Edition’ range. 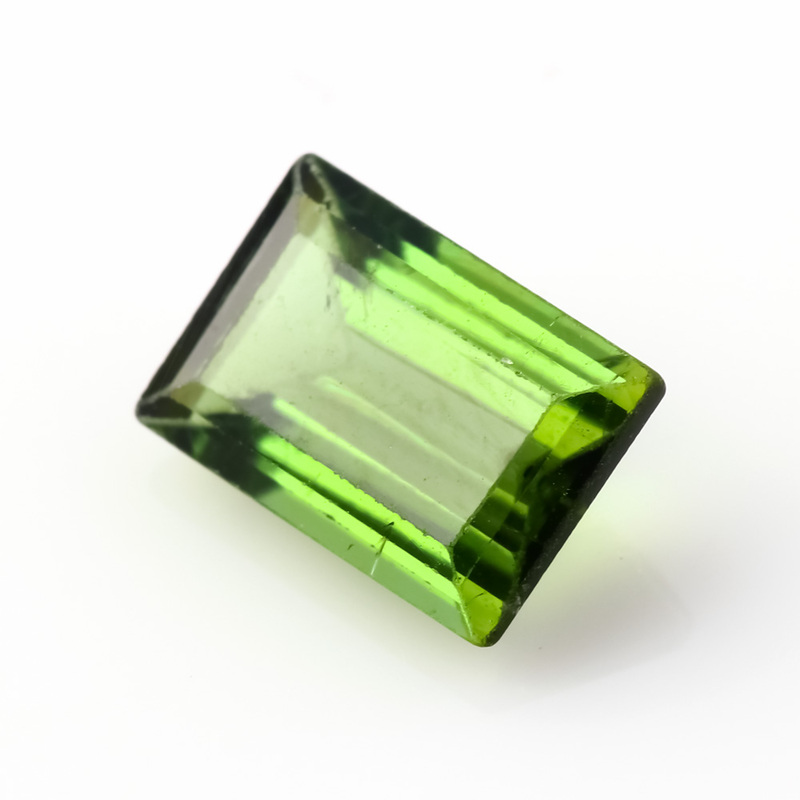 For limited edition tourmaline mixed cuts, click here; for cabochons, click here.